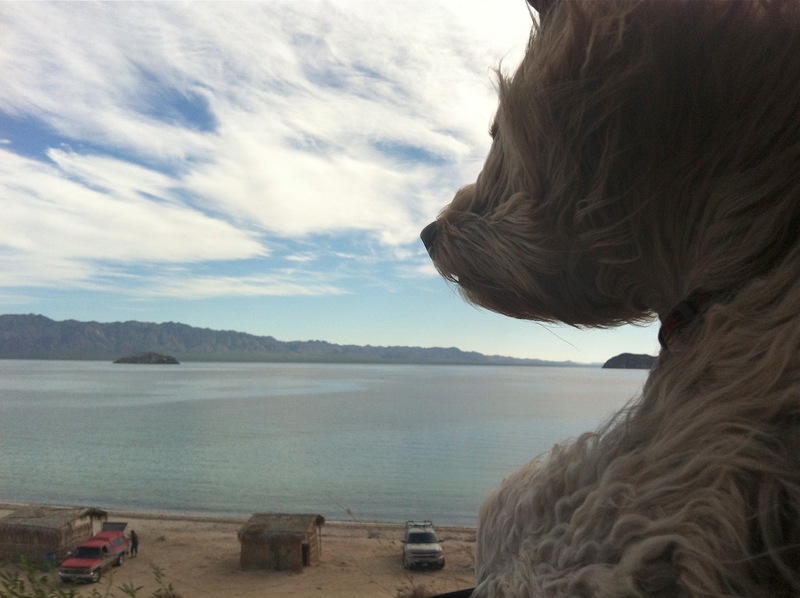 Buster’s become somewhat of an expert on the twists/turns small towns & large of Mex One between the border and his home in Loreto. Some of the journey bores him – so he just sleeps. But other sections he’s all nose/ears and eyes out the window with some running sniff/woof commentary that I struggle to decipher. He’s my boy though – and he sure loves Mexico, as the photos here illustrate. 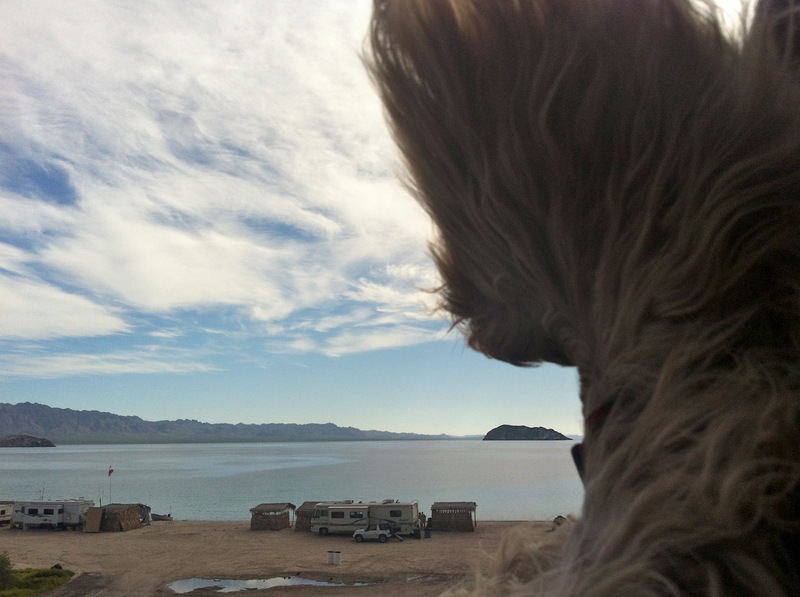 This entry was posted in Baja Living, Beach Dogs, Buster, Sea of Cortez and tagged Camping, Mex 1, Road Trips. Bookmark the permalink.